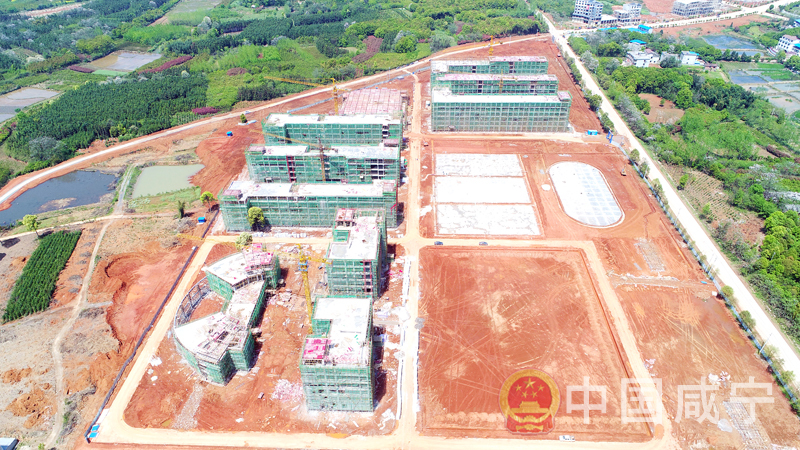 On Apr 12th, the picture taken by a drone shows that the main building of Lu Xun High School has already topped out. Hubei (Xianning) Lu Xun High School and the Primary School attached to Lu Xun High School are situated in Zhanggongmiao Village, Guanbuqiao Town, Xian’an District (the junction of Guixiang Avenue and Fazhan Avenue which is still in planning), with a total investment of 600 million yuan, which is a 15-year education private school. This school is one of the business and investment attracting projects of Xian’an district government, which aims to fulfill the diversified demands of Xianning citizens towards education.